Looking for a Restaurant Manager with bar experience, for a fast-paced, food-first concept unlike any other. We have a passion for providing every guest with exceptional service and quality food in a high-energy, lively atmosphere. Our culture of mutual accountability and transparency in a fun, high-energy restaurant provides the perfect environment where people love to dine and work. We are looking for candidates with strong leadership skills, integrity, self-accountability, excellent communication and management skills, attention to detail, and who thrive in a fast-paced environment. Nothing sounds better than the excitement of a candidate finding their perfect job/company or a client finding just the right person for the job. I feel like less of a “headhunter” and more of a matchmaker! I thoroughly enjoy our team here at Goodwin, and knowing that we stand firm on integrity, congruent relationships, and transparent communication makes me proud to be a part of this brand. 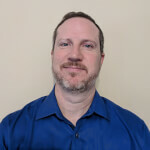 Jason DeSpain joined Goodwin Recruiting in the summer of 2017 and has been successful in learning the business, the companies, and the operators. Growing up in the deserts of Arizona where agriculture was one of the primary sources of income, Jason understood the importance of producing food for the community. Having a hands-on appreciation for farming in the searing desert heat of 122 degrees, he gravitated to the business side. He found that guest interactions and the people business were where he thrived most while working at a local pizza restaurant. Jason developed his joy for cooking watching his mom. She didn’t win Chopped or Iron Chef, but she was the first to awaken his culinary passion! Jason attended the School of Hotel and Restaurant Management at Northern Arizona University (NAU), one of the best in the world. NAU provided Jason with deep industry insights through one-on-one relationships with the professors and future leaders in the industry. Here he gained well-rounded, valuable, hands-on knowledge and skills managing hotels as well as restaurants. Jason’s operations experience includes managing Desert Highlands Golf Club, Mastro’s Steakhouse, Village Tavern, Fox Restaurant Concepts, Ruby Tuesday, and Flip Burger Boutique. During these great experiences, he learned to find the best talent for the position, be it hourly or management roles. As a father of three between ages 5 and 13, Jason stays busy with coaching soccer, being Scoutmaster of a BSA troop, church, and overall just being a taxi driver for his kids! Traveling, camping, boating, motorcycles, scuba diving, flying, and being the best father and husband he can sums up Jason in a nutshell.